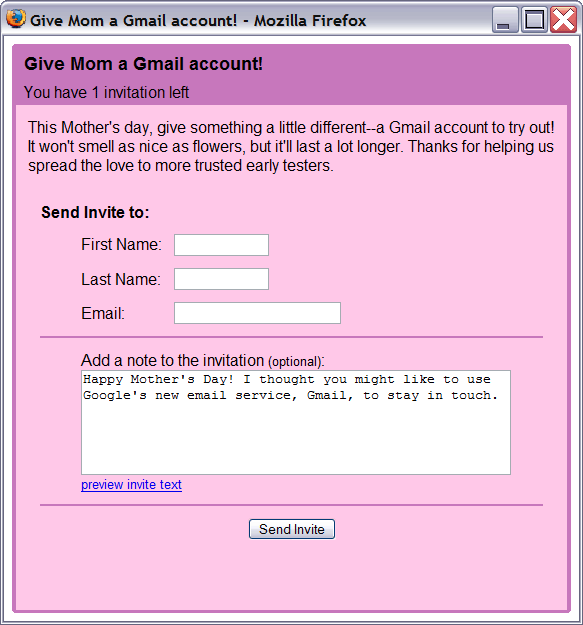 Gmail has decided to grant more invites to some of its initial testers on the occasion of Mother’s Day. While it’s not 100% clear who this comprises of, I think that it probably comprises of those who were invited directly by a Google employee, rather than those invited by Blogger.com or by second-tier Gmail users. In case you’re wondering, since taking these screenshots I’ve already given out the invite. So I don’t have any more at the moment.